WordPress offers flexible templates and is optimal for sites with multiple contributors who want to leverage the blogging functionality. WordPress is available as part of the NYU Web publishing service (training offered). The tool has a high learning curve for set up and maintenance, but allows for customization with for rich library of plugins and themes. 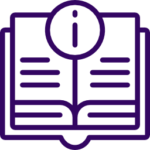 Visit NYU Web Publishing to learn more. Google Forms can be used to create survey questions that mimic an audience response system and track answers through a spreadsheet output. Forms has a quiz function and can be used for formative assessment. Google Forms are available as part of NYU’s Google Apps for Education.